This week we continue our highlight of the Prepared Food vendors. Pasta Design will be making its artisan pasta on site offering an array of lasagnas, fettuccine, Mac & cheese and ravioli with freshly made sauces. They plan to bring their customer’s favorites, such prosciutto & brie ravioli, beets & basil ravioli, lobster & asiago cheese ravioli; classic, squid ink, beet and vegan fettuccine: eggplant parmigiana, ground beef and spinach & ricotta lasagna among other seasonal flavors. Paraná Empanadas is an Argentine eatery frequently present at farmer’s markets around San Diego. At its new public market location, Paraná will offer more than a dozen types of empanadas, from chipotle chicken to mushroom and cheese, paired with four housemade sauces: chimichurri, creamy celery, roasted tomato and chipotle chimichurri. Mastiff Sausage Company started as a San Diego food truck & caterer specializing in handmade craft sausages. They use All Natural, hormone free meat in their sausages and other specialty menu items. All their food is made in house and from scratch including their Sauerkraut, Pickled Vegetables, Mustards, Hot Sauces & more. 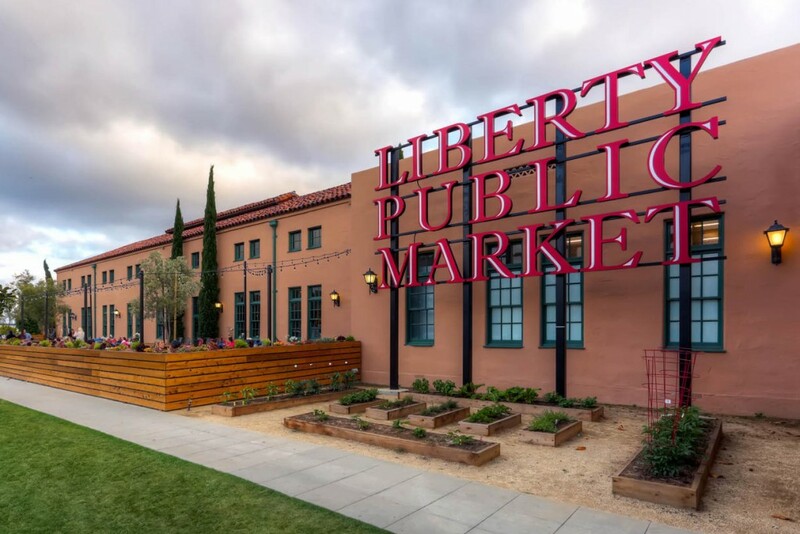 Track them down at their food truck or Liberty Public Market for a true, craft food experience. Mama Made Thai is inspired by Bangkok’s incredible and eclectic street food. Thailand world renowned street food plays a big part of thai people way of living & eating is their top priority. Mama made is focusing on the street classic dishes such as pan fried noodle & rice (pad thai, basil (ka prow) noodle, pad see we or fried rice). The name Mama Made Thai pays homage to family recipes that are still being made to this day. At Mama Made Thai, they believe delicious food doesn’t need to be made complicated; simply combine mom’s classic recipes with fresh & simple ingredients. Tommy Battaglia grew up in his father’s Italian butcher shop in the little Italy section of San Diego where he spent many of his days learning the ins and outs of the meat industry the old fashioned way. Liberty Meat Shop provides the opportunity to create a relationship with your local butcher, ask the questions you need to know, and receive guidance when picking up your next meal to grill. Liberty Meat Shop’s philosophy is to do business the old fashion way. To have top quality meats, and old fashion values. Offerings Include: All Natural Black Angus beef, Choice & Prime Meats, Pork, Lamb, Veal and Fresh free range poultry. Be sure to ask about their aged beef program!